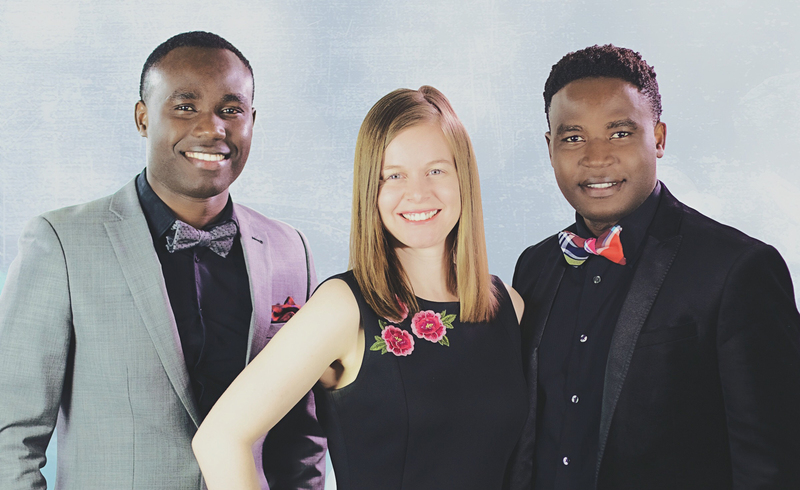 The members of this incredible, and well received Trio is blessed with a gift from God, to use their voices to tell others of the good news of Jesus Christ, through Christian music in a Southern Gospel style. All three members are singer songwriters, and one is a producer, and another an Audio Engineer. Cyiza Music Ministry (also referred to as CMM), and is pronounced (Cheeza), have reached thousands around the world through music and multimedia, focused on pointing towards the Redeemer, Jesus Christ. CMM stands on the Word of God as their anchor and guidance. Sam Cyiza and his wife Jessica had their own solo ministry, but when they met and got married, they formed Cyiza Music Ministry. Subsequently, Sam’s brother, Daniel, also a Soloist, joined them, to form a Trio. CMM is a full-time ministry from Phoenix Arizona, and these young people are committed, and have dedicated their lives’ to serving God this way. Their slogan is: “Saved to Serve”. Their first Album, “I’ve Been Redeemed” will be available for download from your favorite Music App Distributor on July 12, 2018. And this Album was recorded and produced at the Gaither Studio, Alexandria, Indiana. Please invite them to your Church, Conference, Celebrations, Concerts, or other events when you need music.